To those who have heard the legends, they require no introduction. They are the greatest of Gaia's shifting children. They are the ones who remember the days of the dinosaurs and draw upon the power of the Age of Reptiles. None can equal their wisdom when they are calm, and none can stand before them when they are angry. They are the Children of Dragon. The crocodile-shifters. The Mokole. You've demanded it. Now it's here. Mokole details the werecrocodilians of the World of Darkness, and reveals information never before seen about Dragon's children. Find out just how powerful their war-forms are, or delve into their racial memory to learn secrets of the Changing Breed. 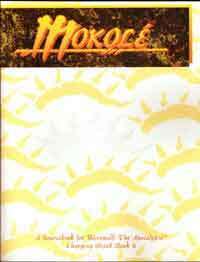 If you want to introduce a Mokole into your game, this is your book.